Heat oven to 350°F. In medium bowl, combine all ingredients; mix well. Spread in ungreased 9-inch quiche dish, glass pie pan or shallow 1-quart casserole. Bake at 350°F. for 18 to 24 minutes or until thoroughly heated. 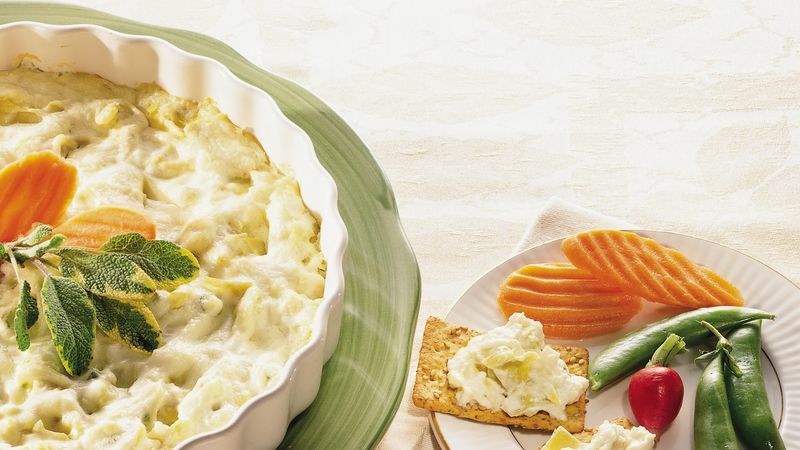 Serve warm with fresh vegetable dippers or crackers. Store in refrigerator. Assemble the dip the night before; cover and refrigerate it. Just before serving, uncover the dip and bake it as directed in the recipe. Combine the ingredients and transfer the mixture to a 1-quart microwave-safe casserole. Microwave on MEDIUM for 4 to 6 minutes, or until thoroughly heated, stirring once halfway through cooking time.